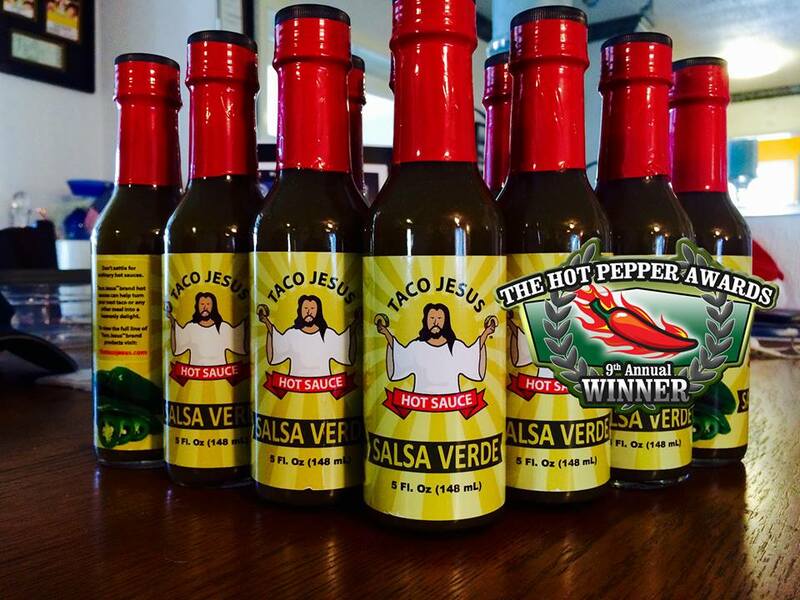 Our award winning Salsa Verde hot sauce, winner of Best Savory and Best Mild sauce at the 9th Annual Hot Pepper Awards, will be available with a limited edition St. Patrick’s Day label coming soon. We will have a small number of bottles available online for sale however the majority of the bottles will only be available for purchase in person at one of our local Florida events. The first chance to purchase one of these limited edition bottles will be Saturday, March 4th at St. Pete Indie Market in St. Petersburg, FL at Green Bench Brewing. These will be available on a first-come-first served basis, so we cannot guarantee any will be available at subsequent events. 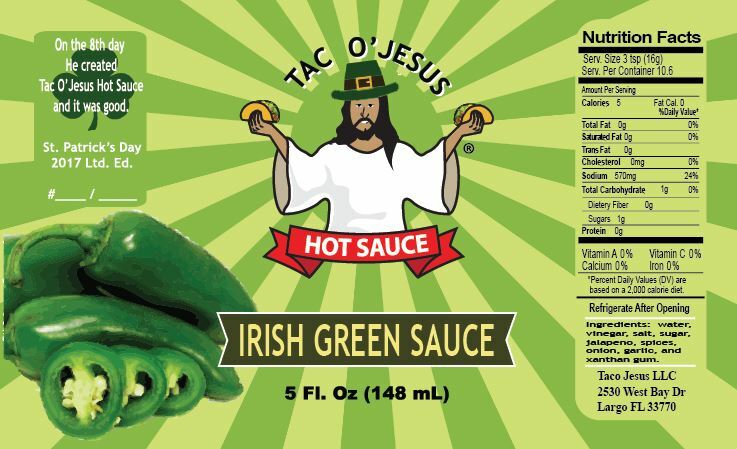 Each limited edition bottle will feature a unique green label, and our Irish counterpart Tac O’Jesus. Each label will also be hand numbered to only a 72 bottle run. If any bottles remain after the event we will post follow up locations online for your chance to pick up one of your own. 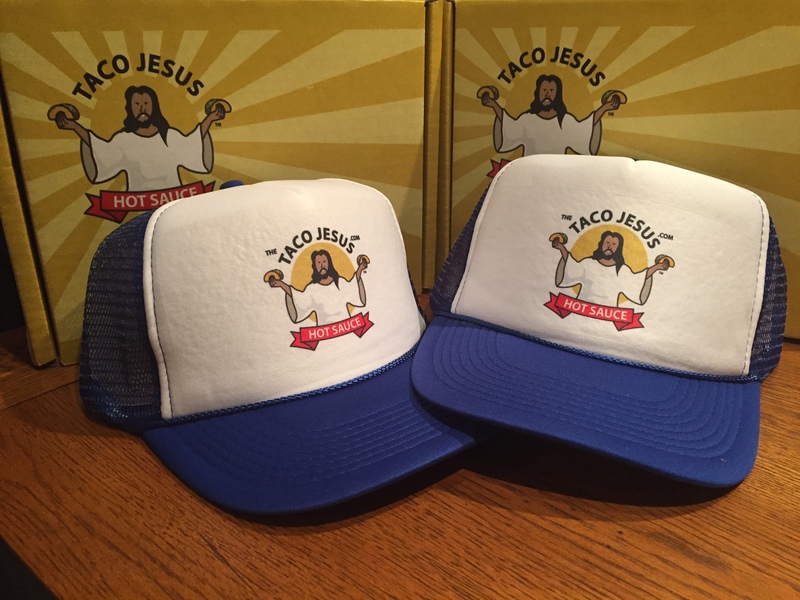 Be sure to act quickly though because our last limited edition label, our Taco Jesus Scotch Bonnet Habaner HoHoHo Christmas edition sauce, sold out on the first day.